After talking with some diabetic friends and investigating a bit how is their daily life we have found that it will be very useful for them to know how much insulin they need to inject with the food they are going to eat. They normally follow a specific diet so it is calculated in advanced how much insulin they need. However, if they don't follow the diet they can have problems because the can inject less insulin than needed and they can fell ill. Our solution can improve the life of a lot of people because the people with diabetes is rising as a result of the huge amount of sugar we eat (which is hidden in almost all the food we eat). Our solution is an app that it is controlled by voice. In this app you can introduce the food/drinks you are going to eat by voice and the app will calculate and tell by voice how much insulin you need. The fact that this process is done by voice is because it makes the process faster and easier than introducing it by hand. In addition, the app will include an online personal consultant to whom they can ask their doubts and he will also advice on some aspects. 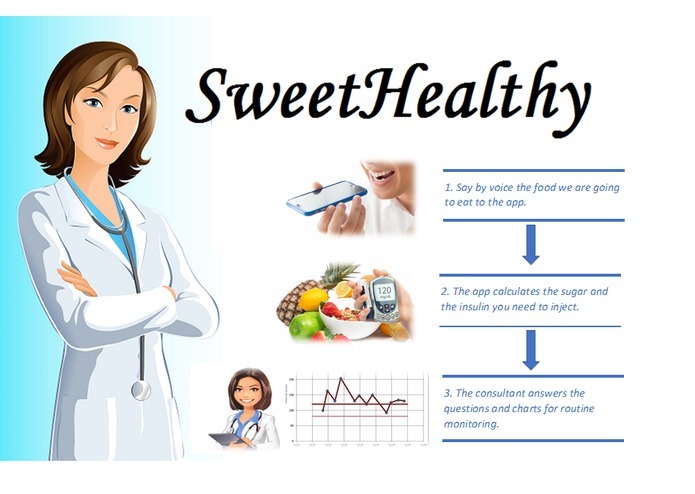 The app will save the data of all the food registered and you will be able to check your sugar level of other days so that you will be able to show your doctor the daily diet. We really want to highlight that it is very important to know in advance how much insulin you need because if the quantity is wrong you can get damage in the eyes, kidneys or have heart attack. So to sum up, controlling the food and the quantity of insulin you can prevent the diabetes' effects. The main step we have to do now is to develop the app and make the algorithm that search the food and get the sugar it has. 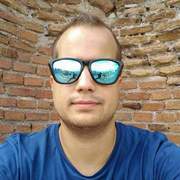 We will introduce also the algorithm that calculates the daily level of sugar and elaborates the graph with the information. About the online personal consultant, we have to develop a bot with all the information needed to answer the questions that the users have. Furthermore, you will be able to ask for a date with your doctor with the app and get information about the nearest pharmacies where you can get insulin. This app will be also very useful for blind people as all the process is done by voice without needing to write anything. Another thing to be implemented is more languages so that it can be used by more people. Our future idea for the app is to connect it to the smartwatches as they can give more information of the user (about sport, hours of sleep, etc) and the calculation of the insulin ca be more precised. The app can also send alerts to the smartwatch about the medical controls and toher important alerts so that the user doesn't forget anything (this is important for childreen as they are not used to it). Another future idea is to implement AI in the algorithm so that it improves the calculations with the information garthered from the user. The last step will be to implement the photo technology so that the user only have to make a photo to the food for the calculations.